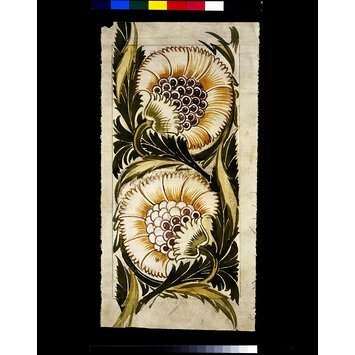 This design is typical of William De Morgan's sketches on paper, giving a hint of the finished design. De Morgan produced thousands of designs for tiles and this is just one of the 820 in the collection of the Victoria and Albert Museum. 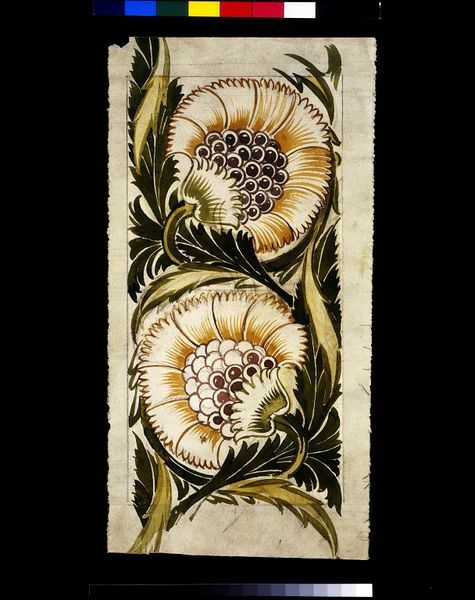 The greatest number of De Morgan designs for tiles are based on flowers, such as the fan-shaped carnation used here. De Morgan used interlocking floral designs on many of his tiles. 'BBB' was De Morgan's most popular tile design. 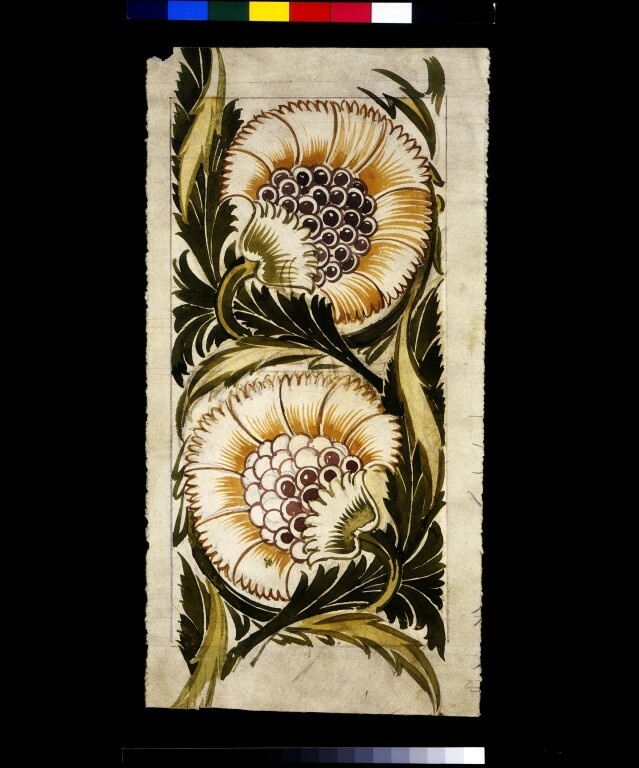 He produced it in a number of forms and the Victoria and Albert Museum has eight different versions of this design. They vary in the size, colour and design of the petals and leaves. De Morgan had a pottery in Chelsea, London between 1872 and 1881. 'Chelsea' is written on the back of this design. This would appear to indicate that the tiles were to be produced at this pottery. However the tiles were not actually produced until 1898 when De Morgan had moved his pottery to Fulham, London. The name of this tile was derived from the Norwich firm, Barnard, Bishop and Barnard, who gave De Morgan his first large order for tiles to be used in their cast-iron fireplaces.